As of now, Siemens has released Femap version 12.0. This follows the latest subrelease of v11.4.2 in 12/2017 and major release of v11 in 1/2013. You can find my standard spiel accompanying each new release post here: my recommended upgrade process. That page has links to the appropriate Siemens PLM Software download website, along with some tips and tricks for carrying over your preferences and program setup from the old version. Add connected tangent curves. Long a feature of NX, tangent curves can be automatically selected. Interactive screen entities. You can directly select and manipulate the “live” controls and text in the graphics window instead of using the View Options (F6) dialog or Post Processing Toolbox. Less menu work! Proper simultaneous copying/moving of geometry with mesh. A relatively simple operation in theory, but it has not been available until now. Geometry that has associated mesh didn’t always translate and/or rotate cleanly in the past. Silhouetting and feature lines. When showing a mesh and not the associated geometry, I would sometimes enable curves so I could more clearly see the boundary of the part being meshed. A more advanced version of this sort of visual aid will now be available. Ruled surface alignment. Set alignment of the beginning and end points of ruled surfaces. Previously, all you could do is select the beginning and end curves. Now you can set end tangency which helps with correcting loft errors in imported geometry. Ease of rendering. Femap has in the past offered a couple of ways to increase model rendering speeds. Users that do know about Performance Graphics might not have understood all of those settings. Most light users I’ve interacted with didn’t even know about Performance Graphics. Now, you can let Femap figure out what works best for your machine. I’m going to recommend that everybody enable “Best Possible” under Preferences > Graphics. Report Generator. Function to generate pictures and tables automatically in Microsoft Word. Beam centerline finder. Geometries that are well suited for 1D meshing can have a beam model automatically generated (along with cross section properties). Washers and pads. These functions that permit you to refine the mesh around holes is now extended to non-circular cutouts. Mesh point editor. Entirely new menu to be able to edit mesh hard points you have set on a surface. Listing Transformed Results to the Data Table. Now you can list output to the DT which follows the transformation set in your active view. Previously you could only list transformed nodal data to the DT. Boundaries support some surface-like operations. Boundaries can now support operations that could only be completed on normal sheet solid surfaces, such as splitting. These commands will be available from the Meshing Toolbox. Results dialog can remember your last selection. A new button, shown below, will remember the last output sets and vectors that were selected. Femap v12.0 will have compatibility with NX Nastran version 12 (numbering coincidence). Version 12 has solution sequences 401/402, which bring additional nonlinear capabilities to the solver. SOL401 is a new code developed by Siemens. It is a “multistep”, structural solution which supports a combination of static (linear or nonlinear) subcases and modal (real eigenvalue) subcases. It is what Siemens considers their “multiphysics” solution for coupled effects. 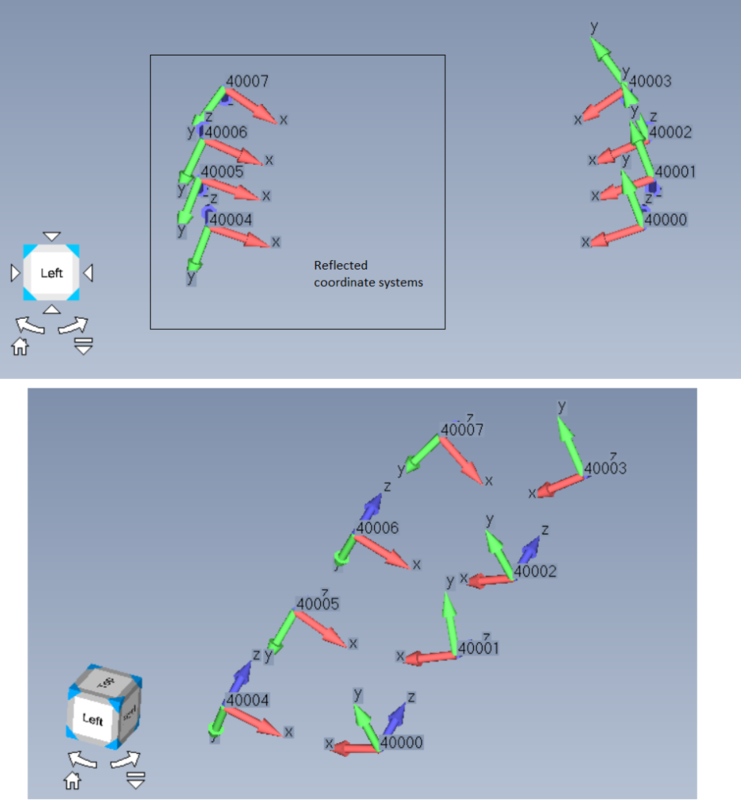 SOL402 is the Siemens implementation of the Samcef solver, a code they recently acquired. 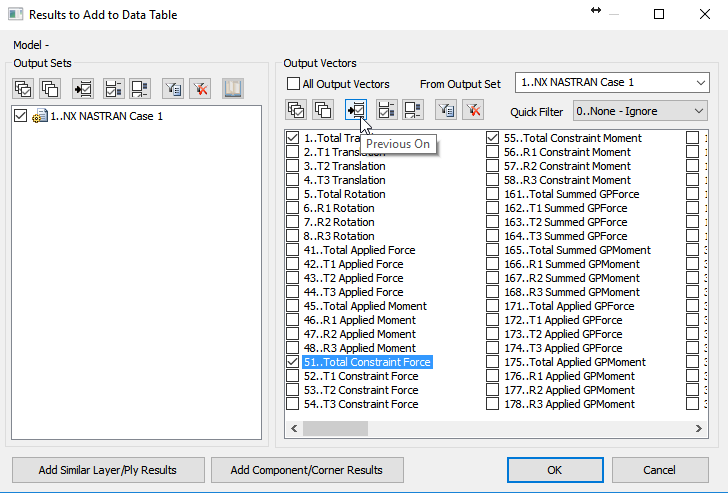 New for NX Nastran v12, memory allocation has two components: 1) fixed allocation, and 2) dynamic allocation. Use of the memory keyword affects the dynamic allocation of memory so as to define the upper limit of memory NX Nastran can use. In English, that means your solution will only use UP to the amount of memory specified, instead of reserving that entire chunk of specified memory resources. Also new in NX Nastran v12.0, the design optimization solution sequence SOL200 supports topology optimization. 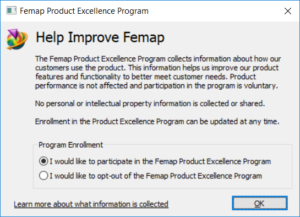 You can also now elect to participate in the Product Excellence Program. This will enable users to have improved experiences with Femap as bugs are reported.